It combines several cracking modes in one program and is fully configurable for your particular needs you can even define a custom cracking mode using the built-in compiler supporting a subset of C. Methods for cracking passwords are educational from many perspectives that do not involved wrongdoing or illegal activities in many cases. John the Ripper just running brute force ran for 9 days with no success. And then it occurred to me that a computer is a stupid machine with the ability to do incredibly smart things, while computer programmers are smart people with the ability to do incredibly stupid things. Launch a terminal within a Linux operating system. Did someone on this site recommend that command? 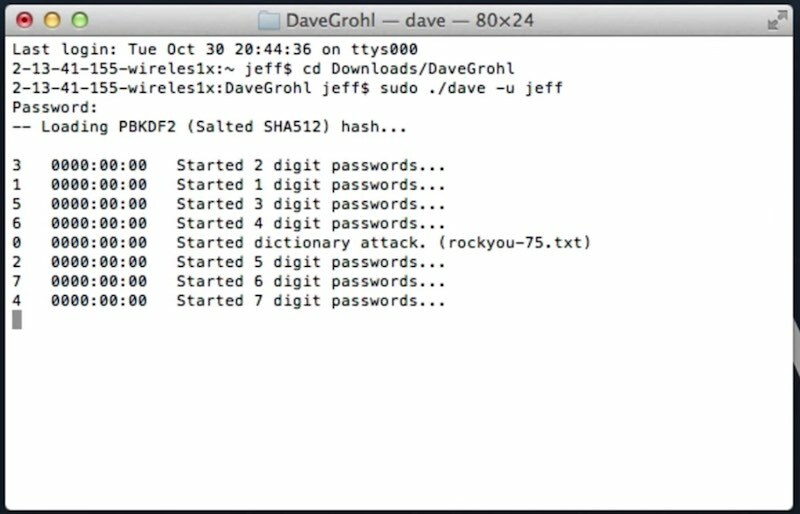 The below command will feed John into Aircrack without using a wordlist. El problema es que hashcat no es para todo tipo de material. You do not have to accept cookies to be able to use the publicly accessible parts of Corelan Websites. What we are going to do is edit the john. You have the right to consult, correct, adjust or have removed your personal details by written request to Corelan. This is not a single factor question. To put it into monitor mode you need to know the interface of the card you want to monitor. Anónimo Restringiste la cantidad de caracteres a un numero logico? The second method brute forcing will be successful for sure, but it may take ages to complete. Using a very large dictionary, or Multiple large, well known published dictionaries increases the odds. Cracking or even attempting to crack the password, or monitor a third party network is illegal and a violation of privacy. The issue is aircrack is only multi threaded and not multi core. 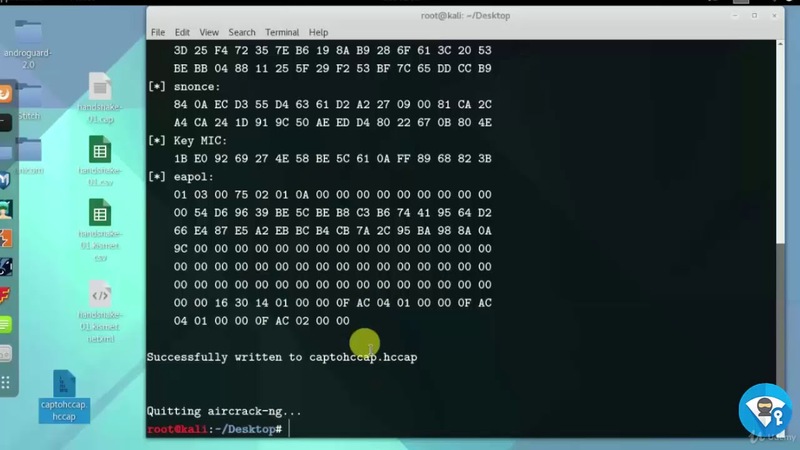 Step 1 : airmon-ng start wlan0 Step 2 : airodump-ng mon0 Step 3 : airodump-ng --channel 5 --write output --bssid 00:24:B2:A0:51:14 mon0 Step 4 : aireplay-ng --deauth 10 -a 00:24:B2:A0:51:14 -c 00:14:17:94:90:0D mon0 To get the handshake when done and then go to next step. First, find a good password file in your native language. They perform passive reconnaissance on the target first. On some versions of Aircrack it will be mon0 for me it is wlan1mon. If your device is not supported now, check back after some time or Contact us now. VirtualThreat and its operators will not be liable for any misuse of this information. If not, do it again until you get the handshake. For example you will get these results. Enjoy How To Use Aircrack And John The Ripper Tools For Cracking. This allows you to just let John crank away. If you're on you're good to go. They do so at their own risk. If you prevent ads from being displayed, this website will eventually disappear. Here you will see the above feeding into Aircrack. While you do not know attack, how can you know about defense? A lot of these files can be found on the internet e.
You can also try -i:digits for numbers only or -i:alpha for a to z. Use the following command to set the password for the account you just created. They are, in short, a perfect match. It can be quite annoying gaining the handshake or hash whilst onsite on a client test and not having enough time or power to crack them. File Life: 30 days after no activity. Otherwise the next time we hear from you could be a jail cell. For example, if we wanted to sweep through all of these password lists multiple times, and try non-numeric passwords first, then numerical only, then alphanumeric, etc. Before, we were stringing together a long command, where we piped names of text files from ls to john to aircrack. The following tutorial is based on Back Track 4. This is because it will not utilise all the cores available. The information provided in this article is meant for educational purposes only. The -G switch adds the account to the super user group. The reason I used John was to create a word list with rules. There are many ways to do this, by boat, by plane swimming, will there be stops. Poor practice will get you caught, always remember this. If you have an account and you log in to this site, we will set a temporary cookie to determine if your browser accepts cookies. After this section is John the Ripper then briefly return to Aircrack-ng to finish cracking the handshake. If we made a good word list we should be able to crack the password. You can also add other characters such as! There are certainly better ways to do it, but this can be a quick check for weak passwords. There are many methods to do this and the amount of time required depends on the system used and the method. A Python script called generate. In certain cases you may however be requested to submit personal information. For example we have a word list with the single word 'password'. The file can be downloaded at any time and as often as you need it. A lot of these files can be found on the internet e.